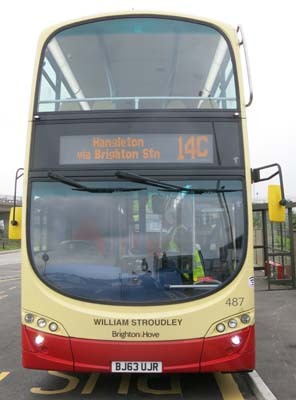 Connections with Brighton and Hove : Brighton was a big railway centre until the 1960s and one of its most famous names was William Stroudley. 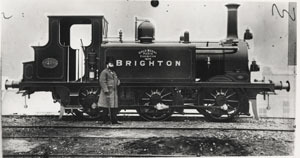 He was locomotive superintendent of the London, Brighton and South Coast Railway, succeeding the autocratic John Craven. Stroudley earned the respect of his workers from the moment he was appointed in 1870. He had the idea that every driver should have his name painted in his cab. 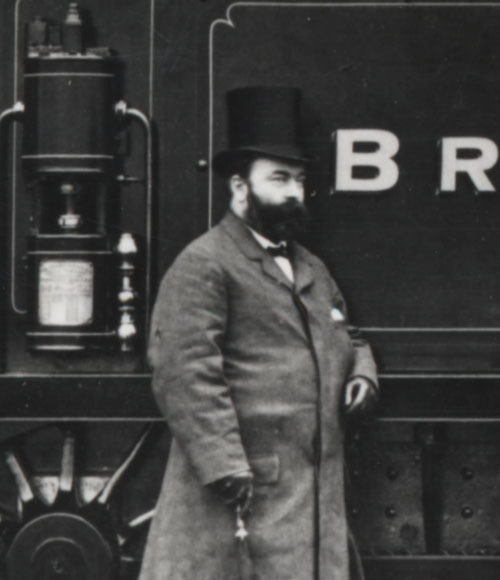 He rooted out corruption and designed locomotives that became a legend. His Terriers, small tank engines, were so well made that many of them lasted more than 130 years. The oldest is ‘Fenchurch’ a Terrier built in 1872 and can be seen on the Bluebell Railway. His small Gladstone engines were celebrated as express locomotives and again remained in service for many years. He paid great attention to the colouring and design of his engines and instilled enormous pride in his workforce. 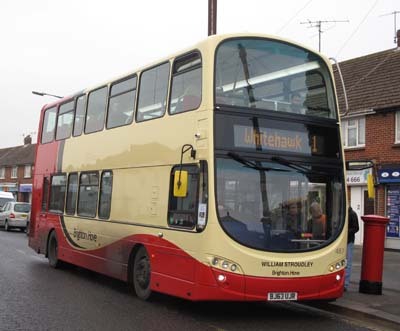 This helped give a mystique to the name of the London, Brighton and South Coast Railway. Stroudley died in 1889 from bronchitis after catching a chill at railway trials in France. Thousands of people attended his funeral in Brighton. 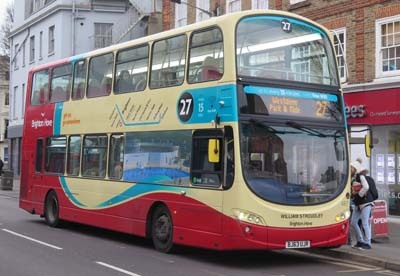 487 Volvo Gemini - carried name since delivery in November 2013. (Previously on bus 838). 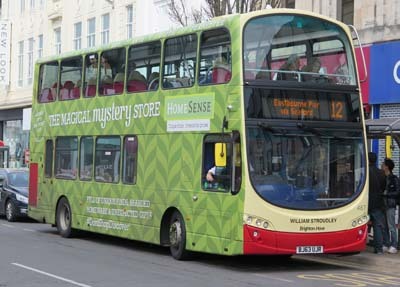 Had bus wrap for HomeSense from April 2016 until Janaury 2017. 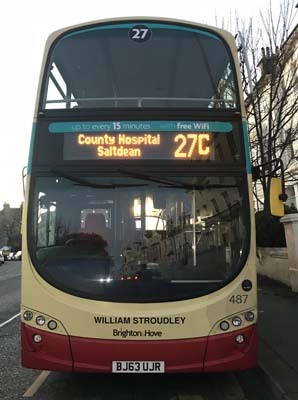 Route 27 branding added December 2017. 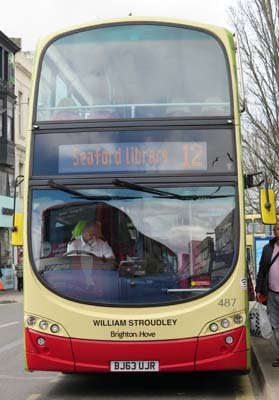 Photograph of William Stroudley reproduced with the kind permission of the Royal Pavilion, Libraries and Museums (Brighton and Hove).